Dash is an robot explorer who loves to go on adventures, play music, and solve challenges. She zips around the room, and uses sensors to detect objects in front and behind, hear where you are, and run programs from a button press. 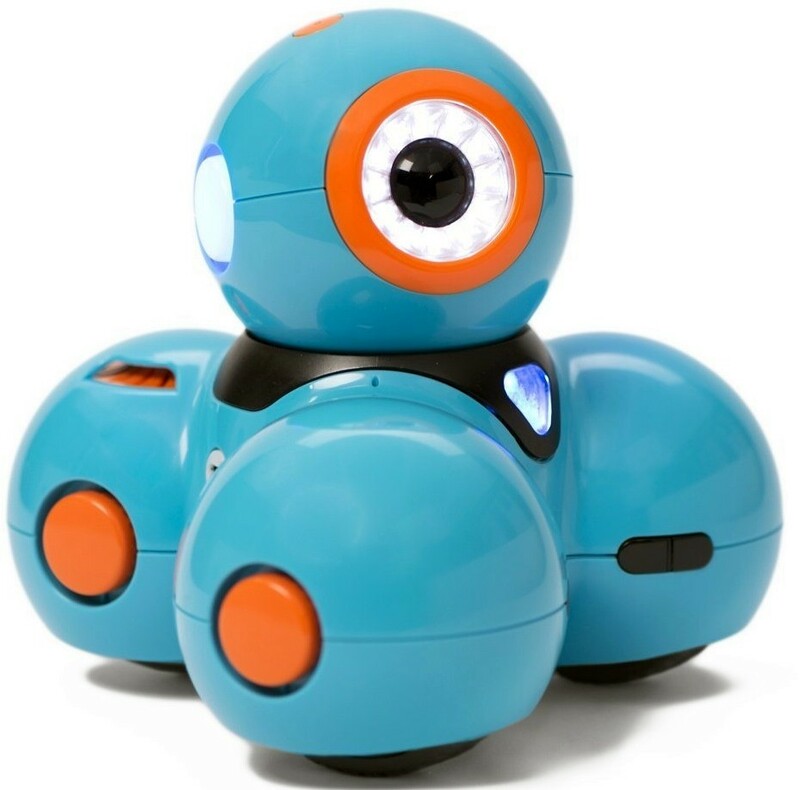 Kids learn the basics of computer programming and problem solving as they work with Dash and the free apps that allow you to control her exploration. You can also transform Dash into an animal, a vehicle, and more using your own LEGO bricks! Dash comes fully assembled and charged -- ready to play! 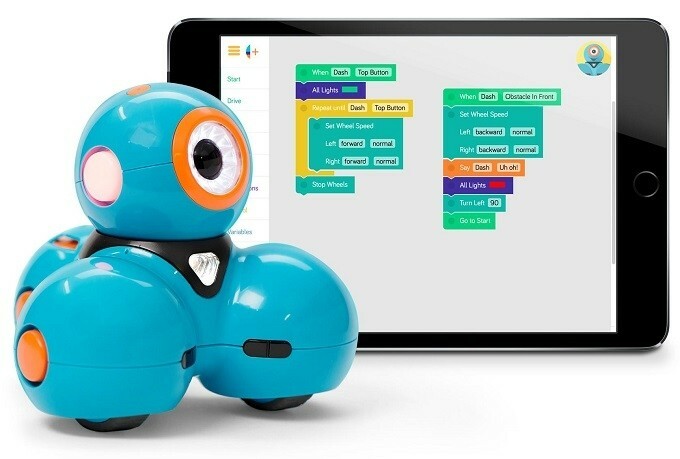 To get started getting the most out of Dash, check out the free apps Go, which allows kids to use basic controls to move Dash and even to record their own voice for her to play back; Path, which shows kids how to program a path for Dash to follow; and Blockly, which uses basic coding with an easy-to-learn coding system. Dash and its associated apps are compatible with a wide range of Apple and Android phones and tablets; for a full list of current compatible devices, visit the Wonder Workshop Compatibility List.